The landscape of Târnava Mare are worthy of support for their social role, providing incomes for traditional communities which are vulnerable in the modern economic climate. As well its their cultural, economic and agricultural productivity, the landscape provides valuable ecosystem services, such as biodiversity conservation, water quality and security, food quality and security, cultural heritage, carbon sequestration, fire and flood resistance, and last but not least recreation, which benefit wider society beyond the communities that live within the area. 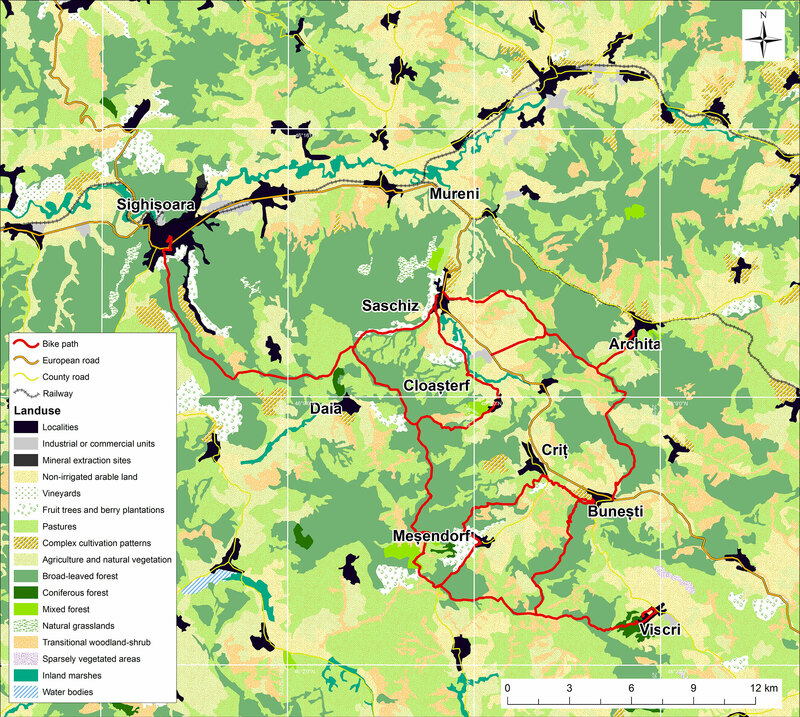 Regarding the nature value of the area, the Târnava Mare landscape is of European importance, being one of the largest surviving lowland high nature value areas in Europe, supporting many habitats that have evolved in association with human agriculture and other activities, and remarkable diversity of flora and fauna including many internationally threatened species, and more than 60 wild crop relatives representing important European agro-biodiversity. But in spite of its great value as a cultural landscape, Târnava Mare is under increasing pressure from poverty and abandonment. This represents a major socio-economic as well as environmental challenge. The lack of economic prospects is leading to ageing oft he population, with average ages increasing as young people leave the area for the chance to earn more and enjoy higher standards of living in urban areas. (Romanian National Rural Development Programme, 2007, Ministry of Agriculture and Rural Development). There is an urgent need to find innovative ways of giving this landscape a future. This project will take advantage of one such opportunity; the growing market especially among urban populations for green tourism, often sport-related, linked to healthy local products that they cannot get in their urban places of work and residence. The interest in these activities is strongly linked to highly educated young people with high incomes: an ideal type of responsible tourist to support the Târnava Mare landscape. 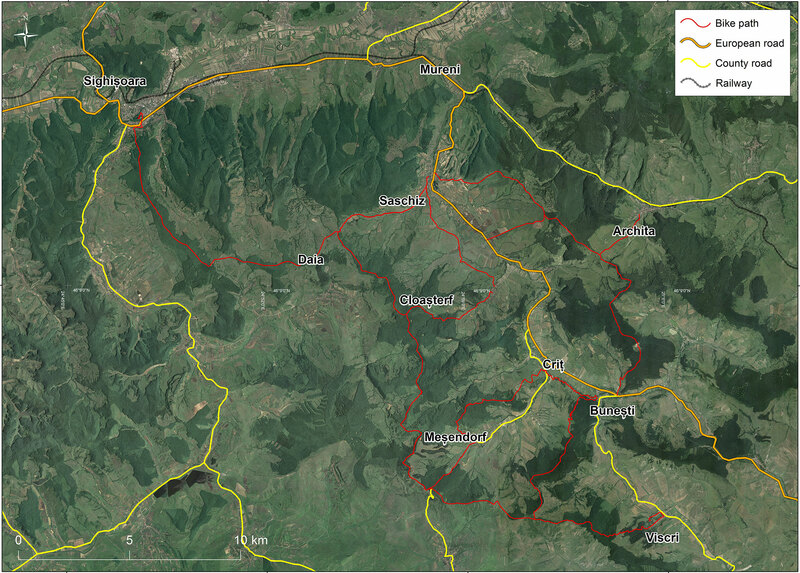 In 2011 ADEPT created an 8 km trail, built by local people under ADEPT staff supervision. This 8-km trail attracted nearly 3,000 new visitors to the area,in 2011 (the first year of full operation) which has led to a measurable increase of income: an average of 10 euro/person spent in the area – accommodation, meals, local products and services. The trail has also provoked interest from schools, in outdoor activities and in nature (we installed nature interpretation panels along the pilot trails which have proved very effective teaching tool). The trail has also stimulated local authorities to propose green development policies. 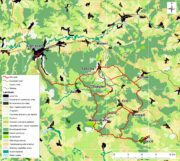 NFS have worked already in Romania, with the Romanian Ecotourism Association, AER. ADEPT is a member of AER and so we are pleased to be building on an existing relationship between NFS and ecotourism in Romania. NFS’s experience of Romania, as well as their very relevant experience in developing responsible tourism in Switzerland and in other countries, forms a strong basis for effective cooperation.